These gals are having a good ol' time! 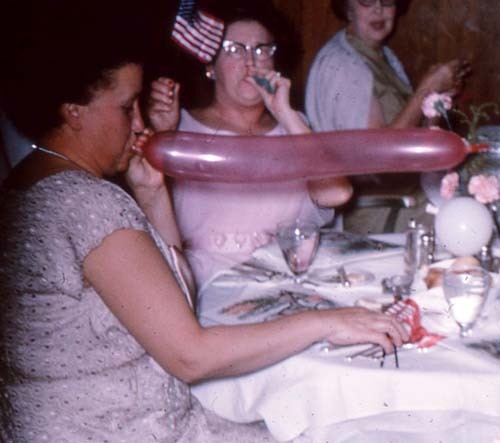 I know the lady closest in the photo won the Balloon-Blowing Contest by a country mile, but c'mon! Look at the competition: One lady is waving a flag and the other one's playing with her hands. That just wouldn't happen these days... everyone's so damn competitive. Do keep in mind folks this is a KIDS show and that is a balloon!